The thought came to me, wouldn't it be fun to have 12 days of Halloween? The idea is that each day, I will post a Halloween craft or idea. I love looking for ideas during the holidays of fun gifts to give, fun ways to decorate, fun activities to do, and yummy food to eat. More ideas = More inspiration, right! So, Welcome to day 1 of my 12 Days of Halloween Fun!! This first craft is one I first created a few years back. I made some more again last year for my kids teachers. It is a fun easy craft, one I love making!! 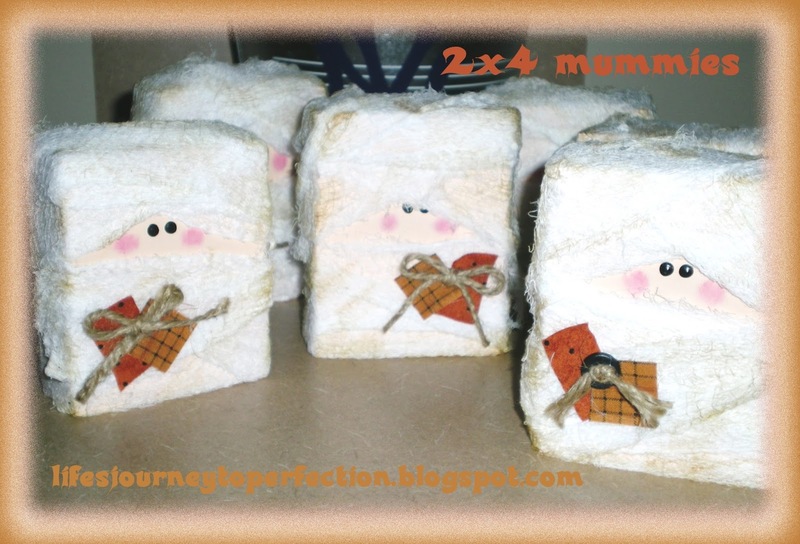 These adorable little mummies make a fun decoration for any shelf in your home. They also make a fabulous gift for a friend, neighbor or teacher! Wouldn't they be fun for a Young Women or Activity day group to make? Or to give as a Visiting Teacher Gift?